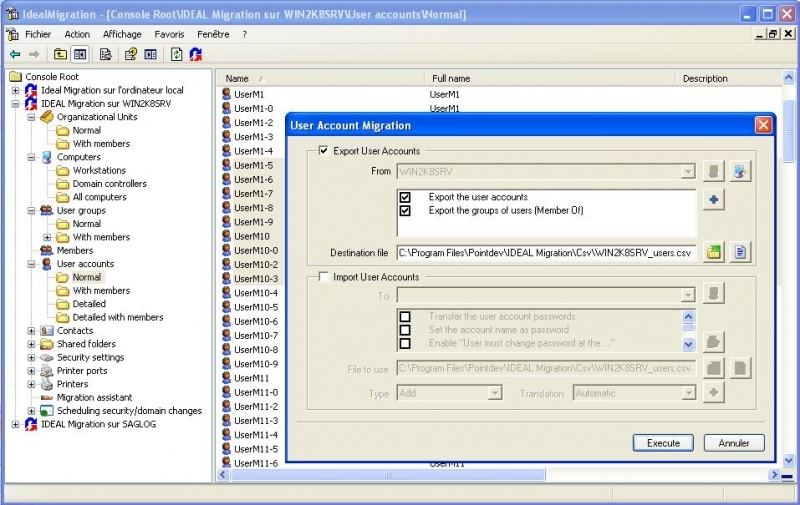 IDEAL Migration automates your Active Directory domain consolidation and migration. 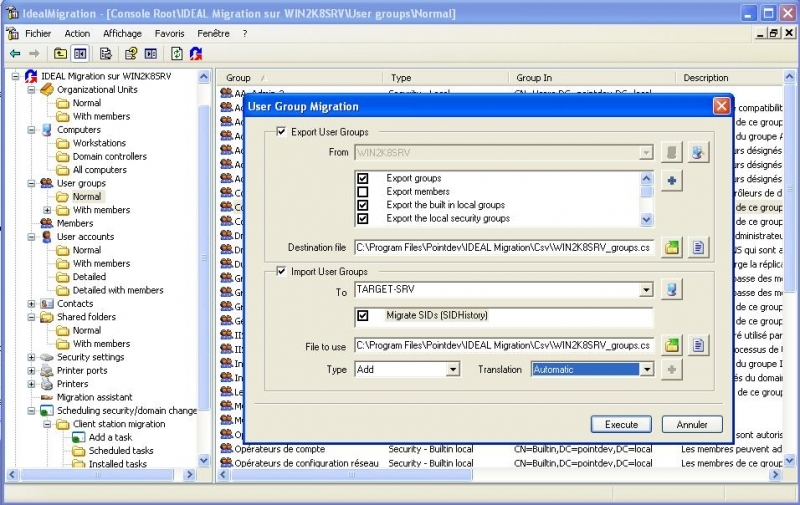 With IDEAL Migration you will be able to migrate all server objects (OU, groups, users, files, ACL, etc.) from and to any Windows stand alone or Active Directory server, with the possibility also to automatically change domain client PCs without intervention. 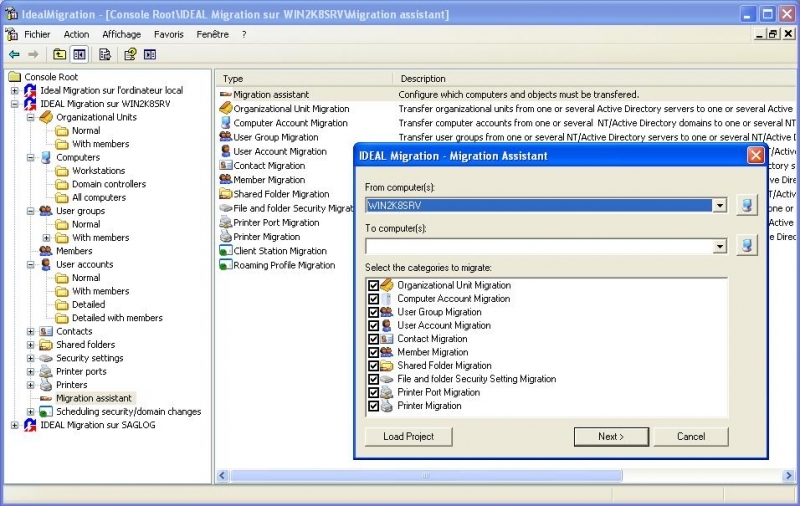 IDEAL Migration covers migration of 32bit and 64bit architectures. IDEAL Migration does not require a trusted relationship between domains, nor does it require servers to be online to carry out a migration. Also the export and import of objects are carried out using CSV files. There files can be easily installed in a database, modified or even created manually if so desired. licensing is per migrated user i.e. 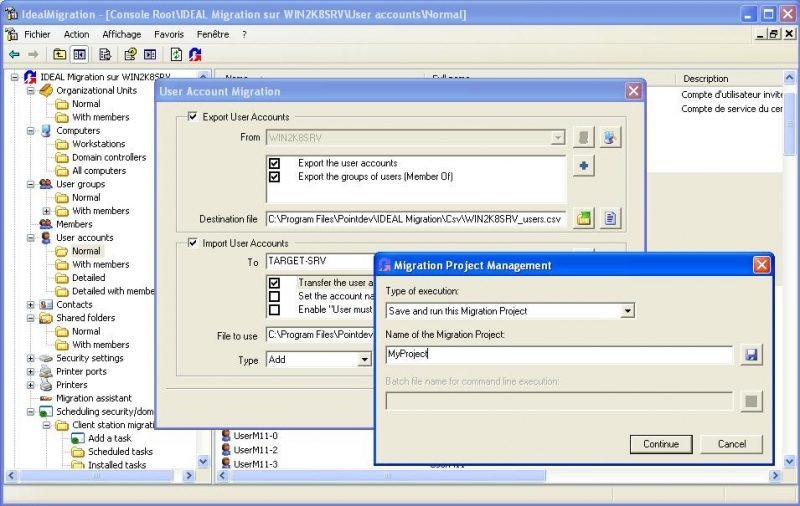 the number of users to be migrated from source domain or server. Licenses are perpetual and on initial purchase include one year software maintenance and technical support. Software maintenance allows use all new product versions. Subsequent maintenance renewals are available for one, two or three years. Windows XP, Vista, 2000, 2003, 2008, 7, 8, 2012 Server or NT 4.0 with MMC 1.1 or higher.